The first public version of the Google Wallet app is being sent out to Sprint customers via an over-the-air software update today. Google has started sending out the first version of the highly anticipated Google Wallet app to all Sprint Nexus S 4G users via an over-the-air software update. “Our goal is to make it possible for you to add all of your payment cards to Google Wallet, so you can say goodbye to even the biggest traditional wallets,” says Google vice president of payments Osama Bedier in a blog post introducing the service. 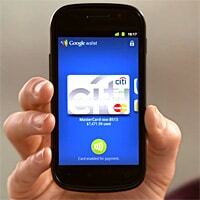 Initially Google Wallet is available only to customers of one US mobile network who have a particular phone model — the Nexus S 4G — and users are expected to have a Citi Mastercard account as well. For those without a Citi Mastercard, a Google-branded prepaid Mastercard can be set up instead. To drive rapid adoption, the company will be adding a US$10 bonus to the users’ Google Prepaid Cards if they are set up in Google Wallet before the end of the year.